Where do I use my Eyeko voucher code? Browse for a deal or code of your choice at NetVoucherCodes.co.uk. Copy the code if provided then head over to the Eyeko homepage. Search for cosmetic products you wish to purchase and add them to your bag. Once you have finished shopping, head over to the checkout. Enter your promo code in the field provided and click ’submit’. Select ‘checkout’ to complete your order. Eyeko are best known for reinventing mascara with their signature zero-waste squeezy tubes, enriching, pro-vitamin formulas with unique, body-boosting brushes that offer instant results, easy application and long-term lash care. Shop from the new in section and Eyeko’s bespoke mascara category to find all the latest products in eyecare and the very best mascara to suit your eyes specifically. For other eye products you can check out the Eyeko shop where you’ll find eyeliners, brow products, eyeshadows, gift sets and travel items. If you’re shopping on a budget you can shop in the Eyeko sale section. In this category you’ll find fantastic eye care products with up to 50% off, allowing you to stock up on high quality eye makeup for less. The Bespoke Mascara section at Eyeko allows you to tailor make your mascara to suit your eyes. In just three easy steps you can create the perfect mascara to ensure that your eyes look on point no matter what the occasion. Simply describe your natural lashes stating whether they are curly, long, short, full, damaged, fine, sparse, straight, medium or unruly. You can then select what effect you’re going for whether that be extra volume, added curl, length and definition, a natural look, waterproof, body boost or all of the above. Finally, you can choose your ideal brush from three recommended brushes by Eyeko. Eyeko will then find your ideal bespoke mascara, which you can even personalise with your initials for an extra £2.50. Eyeko do not test on animals. None of their products have ever been tested on animals and will never be, not even their raw ingredients. Eyeko do not support any companies who test on animals either, they also do not sell in China. None of Eyeko’s suppliers test on animals either so you can rest assured that you’re eye makeup is coming from ethical companies who care about our furry friends. Find a full list of ingredients for every product on each product page and enjoy a full range of eye makeup that’s affordable, high quality and ethical. Shape, style, define: the range of game-changing eyebrow products at Eyeko aim to help you harness the natural power of your brows. Create your own signature shape and fullness with your brow products and keep them looking perfect all day long with the range of gels, definers, brushes and shapers at Eyeko. Whether you just want to enhance the features of your real brows or want to create a whole new look for your eyebrows, you can find all the products you need to do so in the Eyeko brow range. Meet your new BFF (Brow Friends Forever) for Cara Delevingne worthy arches and fullness. If you’re shopping on a budget then check out the items in the Eyeko sale. In this section you’ll find a huge array of eye products including mascara, lash boosts, brow boosts, eye sticks and sets with up to 50% off. The sale section is regularly updated so make sure you keep checking back to find a brand new set of discounted products. If you can’t find what you’re looking for in the sale section you can always use one of our voucher codes to grab some savings on your eye products instead. You must return your order to Eyeko within 7 days of receiving your product. Email: hello@eyeko.com with general enquiries. 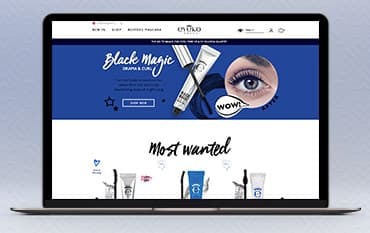 Eyeko is the go-to brand for eye makeup and eye care, founded in 1999 this British brand aims to provide affordable, bespoke eye care products made from innovative Korean technology. Whether it’s mascara, eyeliner, brow products, eyeshadows, gifts, or travel items you can find it all at Eyeko. And if you shop with an Eyeko discount code you can save money on all your eye products and ensure your eyes are popping and on point all day long, without spending a fortune.